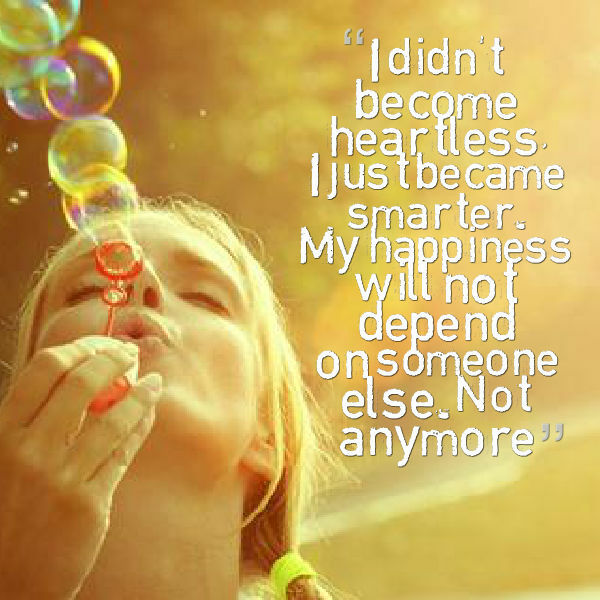 I used to depend on others for my happiness. There’s no shame in admitting that – it’s all too easy to rely on the opinion of others to make yourself feel good. But living like that is dangerous. One rejection, argument, miscommunication can destroy your self esteem and happiness. So start controlling your own happiness – do what makes you happy and rely on yourself. Learn to be alone and content. Don’t keep toxic people in your life – if you feel you need to prove your worth to a loved one, stop and remember you are good enough. This is so true! I used to be so weighed down by the opinions of others, I didn’t know who I really was. It’s freeing to let go of the responsibility of pleasing others. Great post!